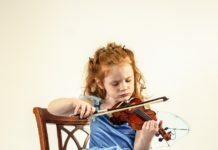 For kids who want start playing an instrument at an early age, you should find the appropriate violins that would suit your skill and your size. Kids violins are specifically designed to suit your needs and capabilities, hence you should buy the best kids violin that will fit your student. Before you are able to start playing, you should first find yourself a kids violin. This way, you can constantly practice the mechanism of playing such instrument. In this article, we have listed ten of the best kids violins which you could find on the market. Be able to review the overview of each model so that you could arrive at the product of your choice. Stentor is our favorite violin brand and the 1500 is the perfect Stentor violin model for beginners since it is both stylish and affordable. As a beginner who is eager to play a violin, you should be mindful of the features that should be present in the following kids violins. 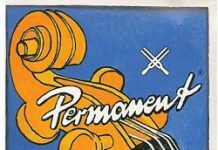 Since each of the models have varied features, you should take into consideration the salient elements that should be present in the violins. Here are two of the said features that you should look for. One of the first things that you should look for in the different kids violins is their manner of construction. You have to take into account the durability of the violin. Make sure that the instrument is built in a robust way so that it would not be destroyed easily. 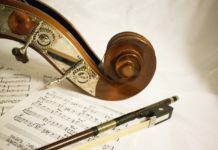 There should be no cracks or seams that should be found in any part of the violin.Additionally, when you gently apply pressure on to the violin, you should not be able to hear any creaks or sound. If you do so, then consider looking for another brand or model. One of the other features that you should look take note of is the material which was used for the violin. 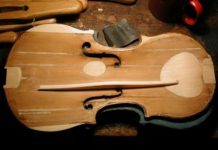 Usually, the violins which are of high quality are made of spruce wood for its top and maple wood for its sides and back. It is said that ebony is also a vital wood that is used in various parts of the instrument.As a customer, you should put into mind that the quality of the wood which was used usually affects the tonal quality of the violin. These are just some of the features that should be noted when looking for the best kids violin. It is worth noting that awareness of the vital features will make your job of choosing the most appropriate instrument easier. Our first violin is the Stentor 1500 1/8 Violin. This kids violin has been handcrafted with a fine-grained solid spruce top. It has a solid maple back and sides, full ebony fittings, and an inlaid purfling. Additionally, it consists of a hardwood chin rest, an alloy tailpiece with four string adjusters, a set of Super Sensitive Red Label violin strings, and a nylon tailpiece loop. For an appealing look, the violin has been polished with a warm brown lacquer finish. This kids violin comes in an outfit which includes an octagonal wood horsehair bow with an ebony frog, a lightweight canvas covered case with an instrument blanket, and an exterior shoulder rest pocket. The Mendini 1/8 MV300 Antique Violin is a satin antique kids violin with a hand-carved solid spruce top and maple back and sides. Additionally, it consists of maple fingerboard, pegs, and chin rest with an alloy tailpiece with four integrated fine tuners. It also includes a lightweight hard case, an adjustable shoulder rest, a Brazilwood bow with unbleached authentic Mongolian horsehair, two bridges, and an additional set of strings. Aside from its antique color, users could also pick from other colors including black, blue, pink, purple, white, and natural. Our next instrument is the SKY 1/10 SKYVN201 Violin. 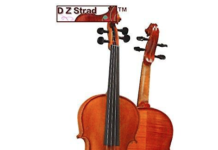 This is a student violin that has been designed specifically for beginning violin players. 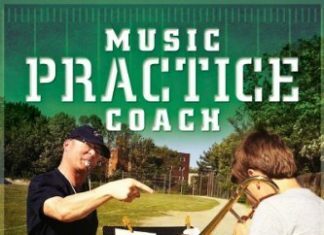 It has already been set up professionally so that it could be played readily upon purchase. The violin has been oil varnished to bring about its natural feel. Additionally, the violin is composed of a solid spruce top and a solid flamed maple back, neck, sides, and scroll. The package where the violin is included comes with a Brazilwood bow, a lightweight triangular violin case, and a quality shoulder rest. The Cremona SV-150 Premier Student Violin is a quality violin that is made of select tone woods for the finest possible sound. It consists of boxwood fittings, a hand-carved solid spruce and solid maple body, and ebony fingerboard. It also has properly fitted Swiss-style boxwood pegs and a quality lightweight composite tailpiece with four smooth fine tuners for easy tuning. Additionally, it is noted for its lightweight construction which means quality workmanship. This violin has correct string height and string spacing for accurate finger positioning and intonation. The Cremona SV-75 Premier Novice Violin is a quality violin that is made of select tone woods for the best sound. It consists of hardwood fittings, a hand-carved solid spruce, and solid maple body. It also has properly fitted hardwood pegs and a quality lightweight composite tailpiece with four smooth fine tuners for easy tuning. Additionally, it is noted for its lightweight construction which means quality workmanship. This violin has correct string height and string spacing for accurate finger positioning and intonation. Additionally, it has a low-profile Kaufman-style chin rest and an oiled neck for a better feel. Our next instrument is the Cecilio CVN-300 Violin. This is a kids violin with a solid spruce wood top, maple neck, back, and sides with inlaid purfling in antique varnish. Additionally, it also consists of an ebony fingerboard, pegs, a chin rest, and a tailpiece with a detachable nickel-plated fine tuner. The violin comes with D’Addario Prelude Strings, a Cecilio chromatic tuner, a lesson book, a lightweight hard case, two Brazilwood bows with unbleached authentic Mongolian horsehair, a quality rosin cake, an adjustable shoulder rest, and an additional bridge. The Bunnel Pupil Violin has been handcrafted with solid maple, spruce tone woods, and genuine ebony fittings. Additionally, it comprises of quality composite tailpiece with built-in fine tuners, a custom-fit maple bridge, and inlaid ebony purfling. This violin has been completely setup hence no assembly is required of you after you have purchased it. You could immediately open the case and play the violin the moment it has arrived at you. 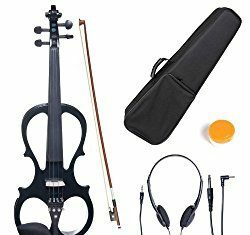 The outfit that comes along with the violin includes a double oblong case, a high-quality shoulder rest, a rosin cake, a genuine Brazilwood bow, and D’Addario Prelude strings. The Eastar EVA-1 Violin is a violin that is made up of spruce wood top and maple necks, backs, and sides with inlaid purfling in antique varnish. Additionally, it also consists of ebony fingerboard, chin rest, and pegs, and an alloy tailpiece with four integrated fine tuners. The violin has been handcrafted, making its surface smooth and nice to the feeling when touched. 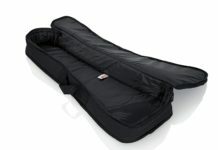 Such model comes with a high-quality lightweight hard case with pockets and shoulder straps, a Brazilwood bow with unbleached genuine Mongolian horsehair, a rosin cake, a clip-on tuner, an adjustable shoulder rest, and an additional set of strings. The ARTALL Violin consists of a handcrafted solid basswood body and a sandalwood bow with a genuine horsehair. Appropriate timbers invest the violin quality properties and graceful sound. It has a gorgeous appearance with its Glossy finish which does not only promote the player’s artistic temperament but also captures the listener’s eyes. 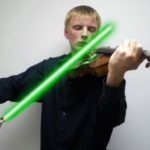 It could be installed easily, allowing the player to quickly play the violin. The violin includes a bow, a hard case, a tuner, a set of strings, a rosin cake, and a bridge. The player could pick from the following colors: glossy black, glossy blue, glossy pink, and matte antique. Our final kids violin is the Windsor MI-1008 1/2 Violin. It consists of a spruce top, a contoured maple body, and an ebony colored fingerboard with tuning pegs. These features offer the player a vibrant yet warm tone. This violin comes with a set which includes a carry case, a horsehair bow, and a rosin cake. The case, in particular, has been designed for kids. The violin is suitable for kids ages seven to nine years of age. Kids violins are indeed fun to play with especially to those who are still starting out to play such instrument. 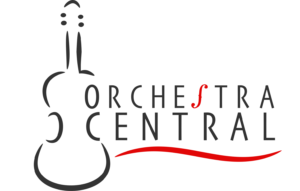 Be able to avail of the best kids violins so that you will be assured that your performance – whether you are already performing onstage or when you are only practicing – would still be exceptional.